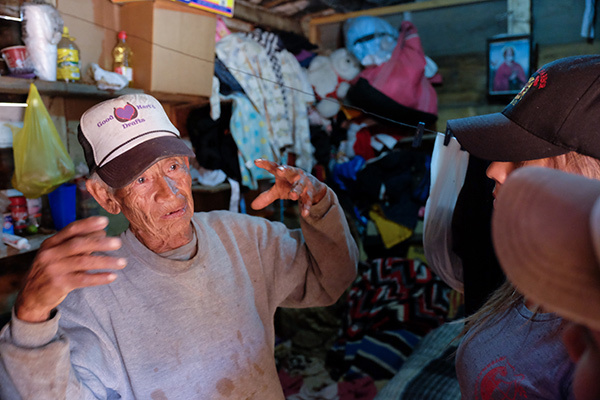 Delfino, 82, woke up to a cold drop of rain on his eyebrow and realized that it was raining. 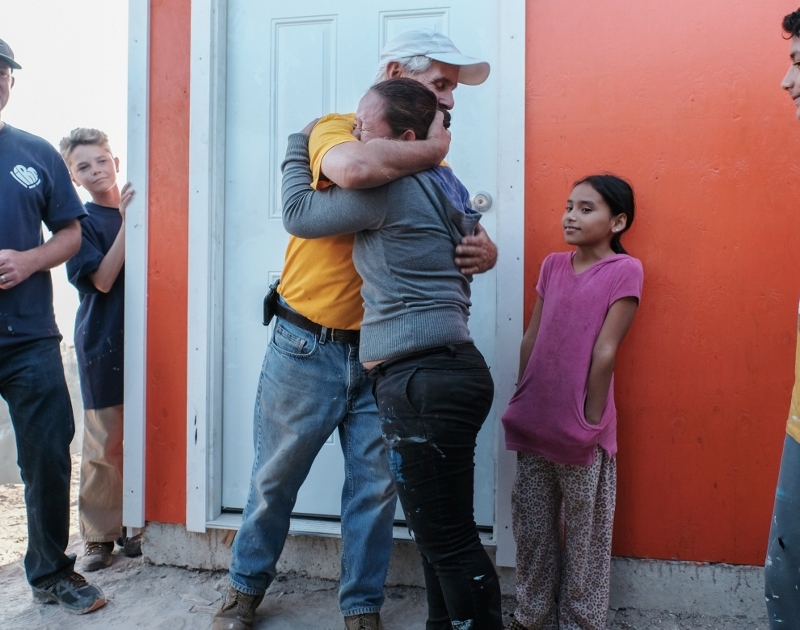 He immediately woke up his wife, Susanna, and ten-year-old step-daughter, Alondra, to help pour soft sand on the entrance of their home, a tiny one-room shelter with dirt floors and a tarp roof. It was three o’clock in the morning and everyone’s feet were muddy and cold but there were no other options. If they did not put the sand in the entrance, then the entire home would flood and all their belongings would be ruined. 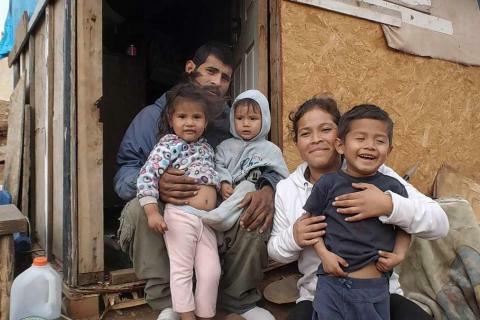 This is a scenario that the little family of three has experienced every time it rained in their makeshift home in Tijuana, Mexico. Susanna in Fuentes del Valle. Susanna is from Guadalajara, Mexico and was one of twenty children, five of whom died before the age of one. Susanna married young and suffered her own heartaches - she had two miscarriages in the third trimester of pregnancy. When she found out she was pregnant for the third time, Susanna made sure to eat more and she gave birth to Alondra. 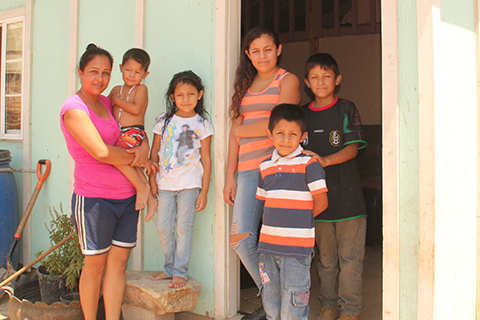 Although Alondra is in good health physically, she suffers from developmental delays. She cannot speak and does not attend school. 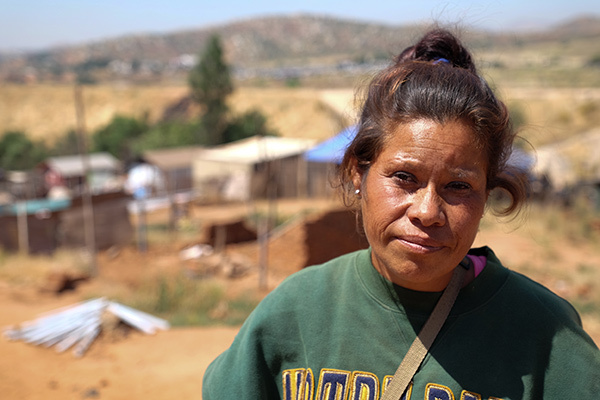 Her husband was overwhelmed by Alondra’s disability and ended up abandoning them. They were left without money or food. Susanna asked her long time family friend, Delfino for help. Little did she know they would fall in love and get married. Alondra in front of her old home. 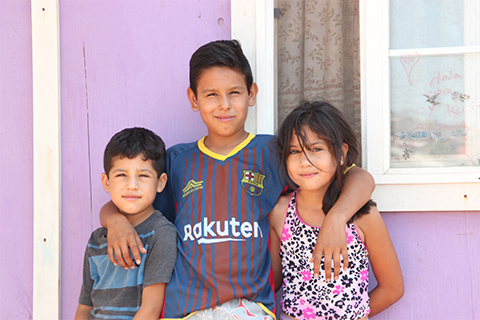 As a newly blended family, they moved to Tijuana in search of new opportunities and settled in Fuentes del Valle where they could have their own space. 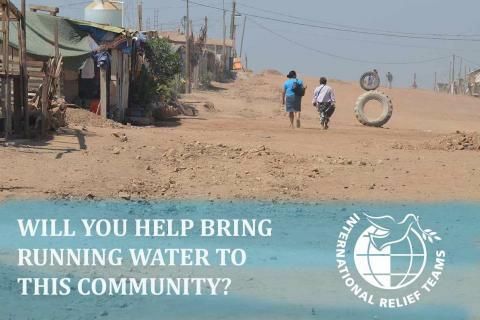 Fuentes is a dust-blown informal community filled with young migrant families, mostly from Central Mexico, who have come in search of better wages well known to exist close to the border. 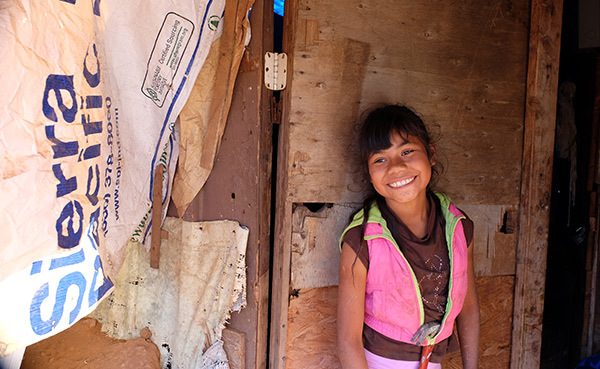 ‍Delfino stands inside his old home, retelling IRT volunteers Hilda and Angelica how he built the structure with his own hands. Delfino built their small shelter as best he could. However, their home leaked and flooded when it rained. Almost one quarter of the tiny space is taken up by a large container where they store water they buy from a delivery truck. The room also has one mattress and a stack of blankets where Alondra sleeps. 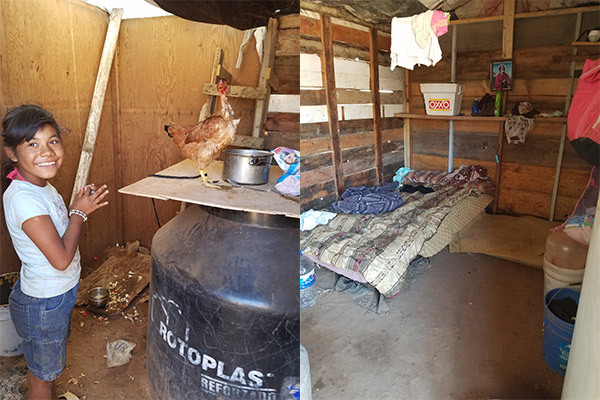 They share their home with two chickens that provide them with fresh eggs. 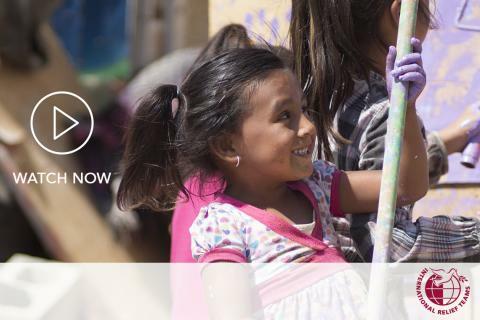 ‍Alondra plays with one of the family’s chickens standing on top of the water container. 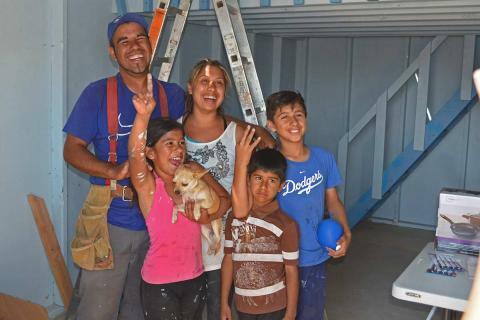 Delfino works hard to provide for Susanna and Alondra. Every day he gets up and goes to the community leader to get work. He realizes that he is not young and anticipates that in the future it will be even harder to find work. When there is work, all three of them pick weeds or do manual labor to earn a little money. Susanna sweetly looks at him and thanks him for everything he does. 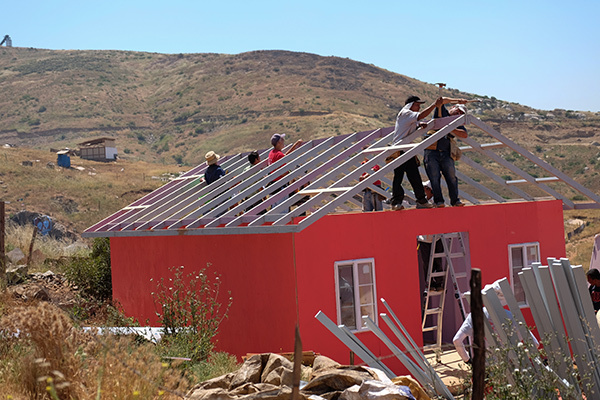 ‍IRT volunteers construct the roof of the family’s new house. 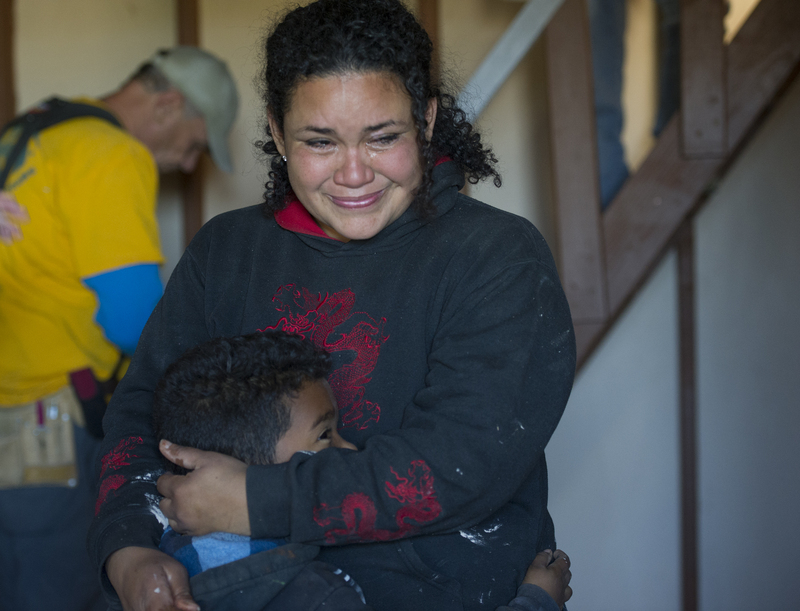 International Relief Teams has been working in Fuentes del Valle since 2016, building homes for impoverished families. 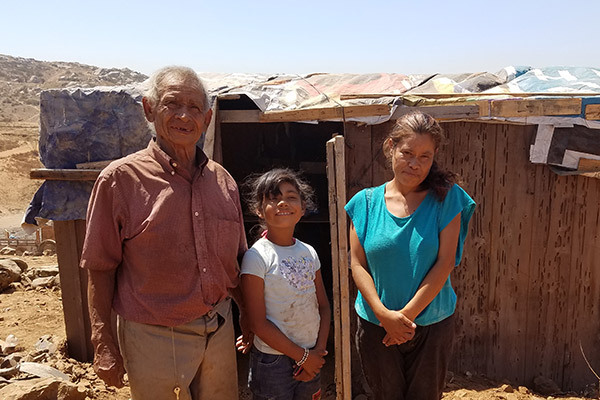 IRT volunteers built a home for Delfino, Susanna and Alondra in April 2017 and drastically changed their circumstances. They now have a safe, clean environment to cook, eat, and sleep. 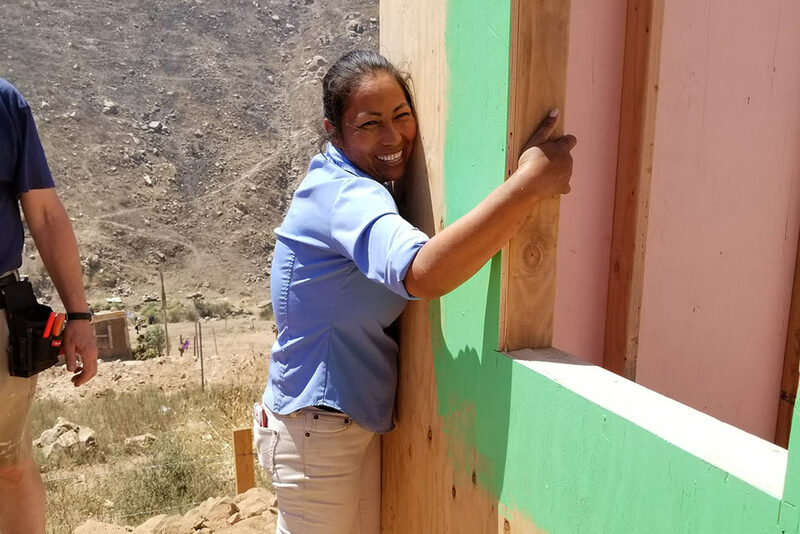 They will no longer worry about their home flooding or waking up in the middle of the night to pour sand to protect their house. They have a sturdy room and four sturdy walls. It is a basic structure by most standards, but it means the world to them. 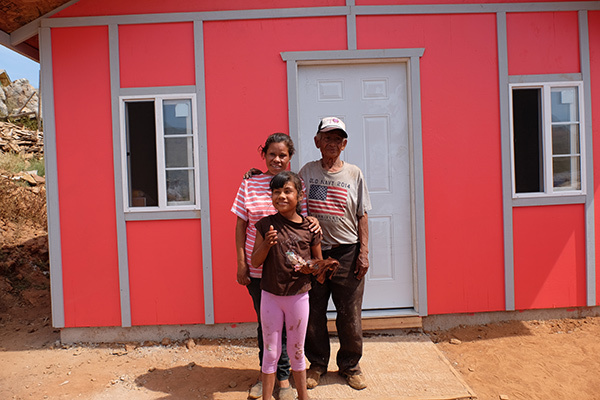 ‍The family stands proudly in front of their new house on move in day!